Interview with Cecil Balmond by Hans-Ulrich Obrist. Hans Ulrich Obrist was born in Zurich in May 1968. He became Co-director of Exhibitions and Programmes and Director of International Projects at the Serpentine Gallery in April 2006, joining Julia Peyton-Jones, the Serpentine Gallery Director. Prior to this he was Curator of the Musée d’Art moderne de la Ville de Paris since 2000, as well as curator of museum in progress, Vienna, from 1993 to 2000. Obrist has curated and co-curated over 200 solo and group exhibitions and biennales internationally since 1991, including: World Soup, 1991; do it, 1994; Take Me, I’m Yours, 1995; Manifesta 1, 1996; Laboratorium, 1999; Cities on the Move, 1997; Live/Life, 1996; Nuit Blanche, 1998; 1st Berlin Biennale, 1998; Utopia Station, 2003; 2nd Guangzhou Triennale, 2005; Dakar Biennale, 2004; 1st & 2nd Moscow Biennale, 2005 and 2007; Lyon Biennale, 2007; and Yokohama Triennale, 2008. In 2007, Hans Ulrich co-curated Il Tempo del Postino with Philippe Parreno for the Manchester International Festival, also presented at Art Basel, 2009, organised by Fondation Beyeler and Theater Basel. In the same year, the Van Alen Institute awarded him the New York Prize Senior Fellowship for 2007-2008. In 2008 he curated Everstill at the Lorca House in Granada. The Marathon series of public events was conceived by Hans Ulrich Obrist in Stuttgart in 2005. The first in the Serpentine series, the Interview Marathon in 2006, involved interviews with leading figures in contemporary culture over 24 hours, conducted by Obrist and architect Rem Koolhaas. This was followed by the Experiment Marathon, conceived by Obrist and artist Olafur Eliasson in 2007, which included 50 experiments by speakers across both arts and science, the Manifesto Marathon in 2008 and the Poetry Marathon in 2009. In 2009 he was made an Honorary Fellow of the Royal Institute of British Architects (RIBA). Recent publications include A Brief History of Curating, JPP Ringier; Gerhard Richter Text, Verlag der Buchhandlung Walther König/Thames & Hudson, The Pen is the Sister of the Brush, Maria Lassnig, Steidl; Gerhard Richter Obrist, Verlag der Buchhandlung Walther König; Ai Wei Wei, Ways Beyond Art, Ivory Press; Susan Hefuna Pars Pro Toto II, Kehrer; Hans-Peter Feldmann, Interview, Verlag der Buchhandlung Walther König; The Conversation Series, volumes 1-20, Verlag der Buchhandlung Walther König: Robert Crumb, John Chamberlain, Konrad Klapheck/Hans Peter Feldmann, Rem Koolhaas, Rosemarie Trockel, Wolfgang Tillmans, Yona Friedman, Zaha Hadid, Gilbert and George, Thomas Demand, Nancy Spero, Dominique Gonzalez-Foerster, Olafur Eliasson, Philippe Parreno, Enzo Mari, Gustav Metzger, Yoko Ono, John Baldassari, Christian Boltanski and Rirkrit Tiravanija. 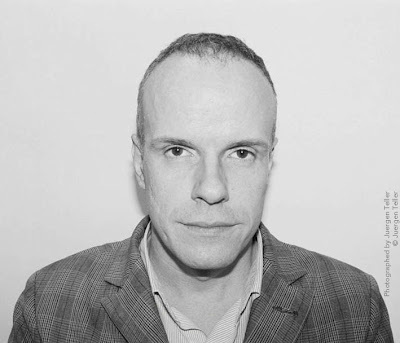 Obrist is contributing editor of Abitare Magazine, Artforum and Paradis Magazine.